Install your HTML email signature in no time! 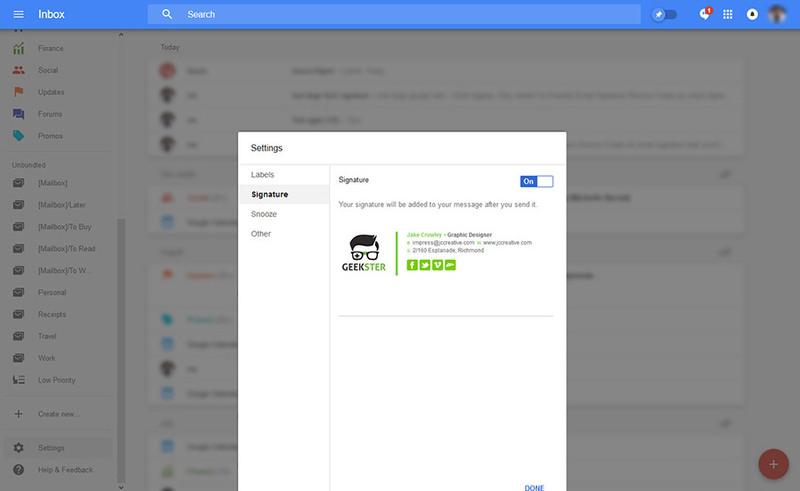 Use our signature installer or follow our step-by-step guides to install your email signature in Google Inbox. 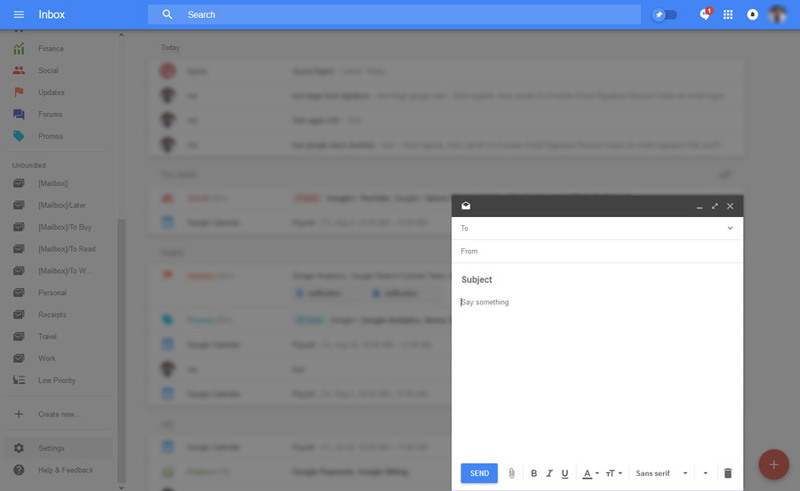 It's never been easier to create a new email signature for Google Inbox. Check out our beautiful email signature templates and easy to manage email signature software, that makes creating email signatures for Google Inbox a breeze. Works with Google Inbox on Web, iOS and Android. 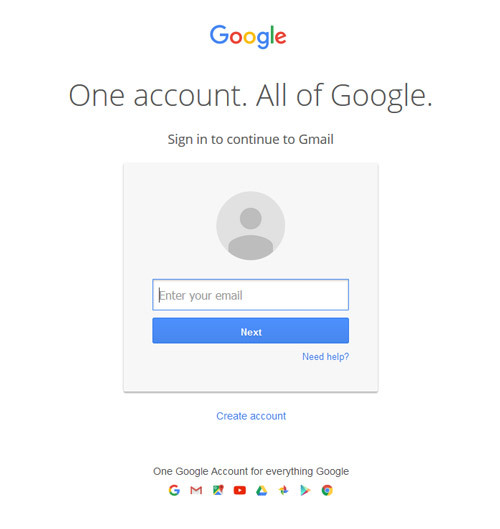 To be logged in to your Google Inbox webmail account. Your email signature file (.html file) open in Google Chrome or Mozilla Firefox, or be logged into your Email Signature Rescue account in Google Chrome or Mozilla Firefox with your email signature open in Full Screen Preview. When you have completed the above steps, click on Get Started: Installation Guide below to follow our written installation guide with screenshots (recommended). There may be a Video Installation Guide available if you prefer. There is a character limit on Gmail signatures of around 10,000 characters. If you receive a message saying your email signature is too long when you try to paste it into Gmail, you will need to follow our Install: Web Browser Extension instructions instead. You can read our Email signature too long - Gmail signature character limit section for more information on how to work around this. If you run into any issues during your HTML email signature installation in Gmail webmail, please see the Troubleshooting FAQ for frequently asked questions, before contacting support through your member account. Once the web extension is open, select Google Inbox from the dropdown list. 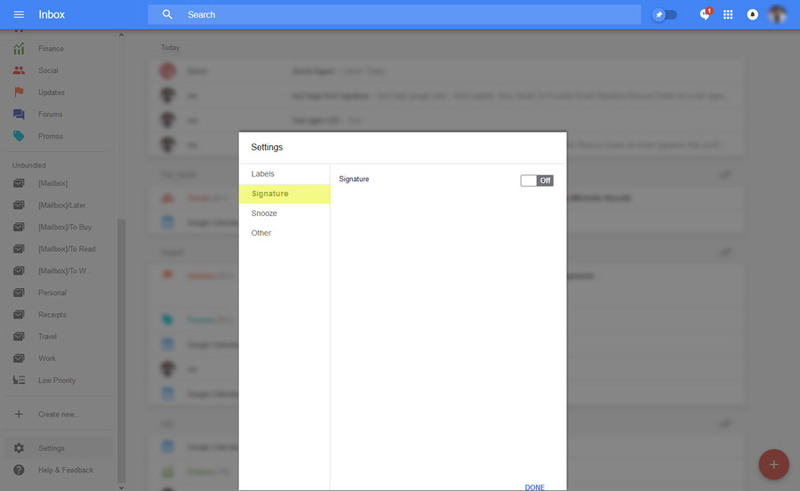 Now that your signature has been installed, log in to your Google Inbox account and press the compose button. 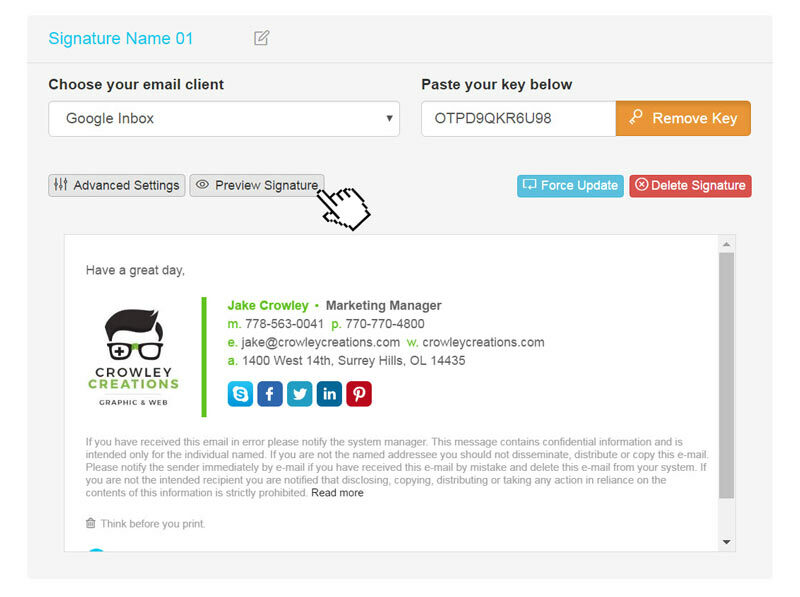 You will see your email signature is automatically inserted into your email. That's it! Try your email signature now by composing an email in Google Inbox and emailing it to yourself, a friend or colleague. IMPORTANT: If you receive an error message saying "Your signature is too long" then you will need to use our web extension instead. Select the Install: Web Browser Extension *NEW* instructions below and follow those steps. If you don't have an account, open your supplied HTML file in your web browser, like Chrome of Firefox. Login to your Google Inbox Account. Once logged in, click on the menu icon in the top left hand corner, next "Inbox" to open the left side menu. Now scroll to the bottom of the left side menu, until you see Settings. Click on Settings. Once settings is opened, click on Signature to open the signature settings. 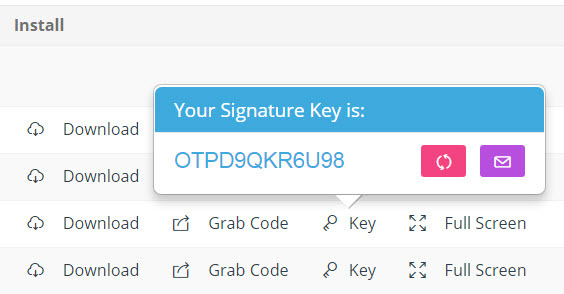 Turn on the signature and then click into the box that says "Type your signature". When your cursor is inside this box, press Ctrl + V (Windows) or Command + V (Mac) to paste your email signature. Press "Done" when you are finished. NOTE: Your email signature will not show in the compose box but will be applied when you hit send. The only way you can see your email signature is in your sent messages, after you have sent your email. If you have tried our Step-by-Step Instructions or Browser Extension instructions for installing your email signature in Google Inbox and you run into any issues, please read through this troubleshooting guide before contacting Support for further help. 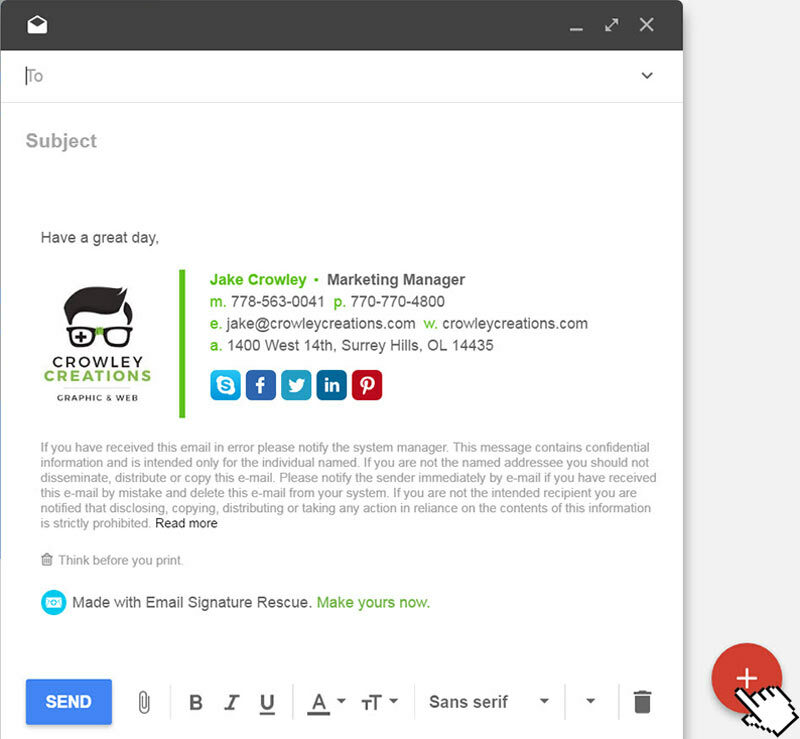 Gmail and Google Inbox have a character limit on email signatures. If your email signature is over 10,000 characters, it won't save if you directly paste it into Google Inbox's signature settings. You will need to follow the instructions for using our free web browser extension instead. See our "Before You Start" section. If I use the browser extension, will my email signature work with the Google Inbox iPhone/iPad app? No. The way the browser extension works is that it injects the HTML from your email signature directly into the browser page, it does not save it to Google Inbox's settings. In order for your email signature to work in both the desktop and iPhone/iPad app versions of Google Inbox, you will need to reduce your email signature to approximately 10,000 characters and install it directly into Google Inbox's signature settings. 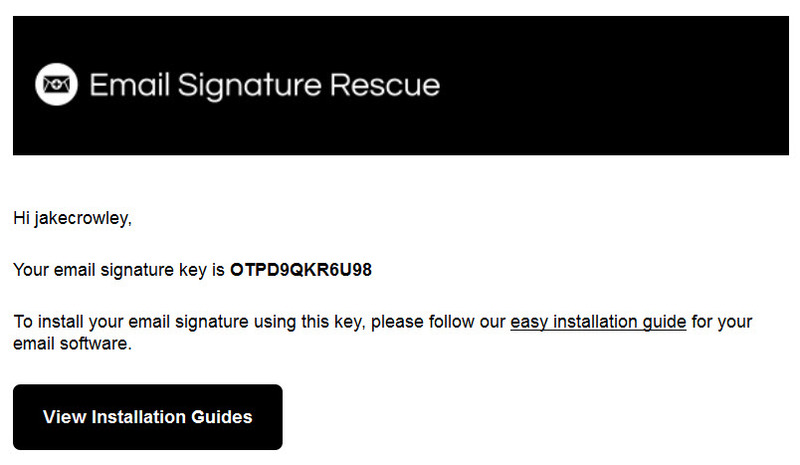 If you're a member of Email Signature Rescue, there is a "Count Characters" button located in the red side menu, while editing your signature. Use this button while creating your signature to count the characters. If you have any issues creating an email signature that will fit into Google Inbox's settings, please contact Support through your member account and we can assist you. Google Inbox doesn't display your email signature in composition mode. When you hit send, your email signature will be added to the end of your email and sent. You can check this in your Sent box. 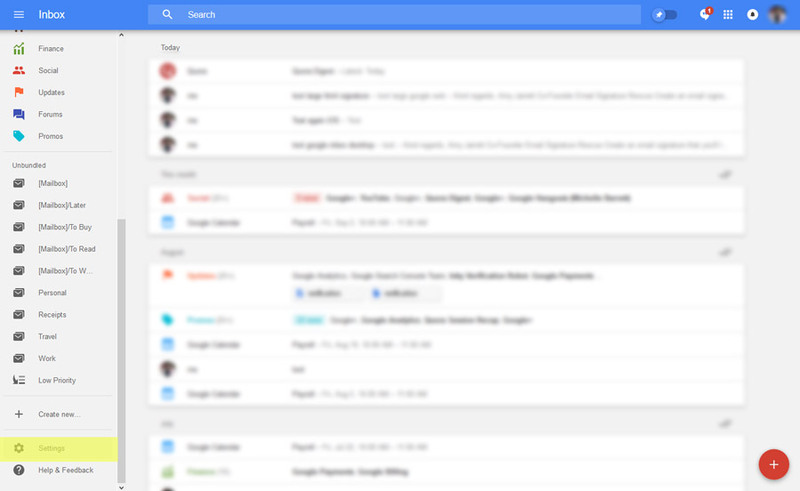 Find more answers to Google Inbox signature installation questions here.